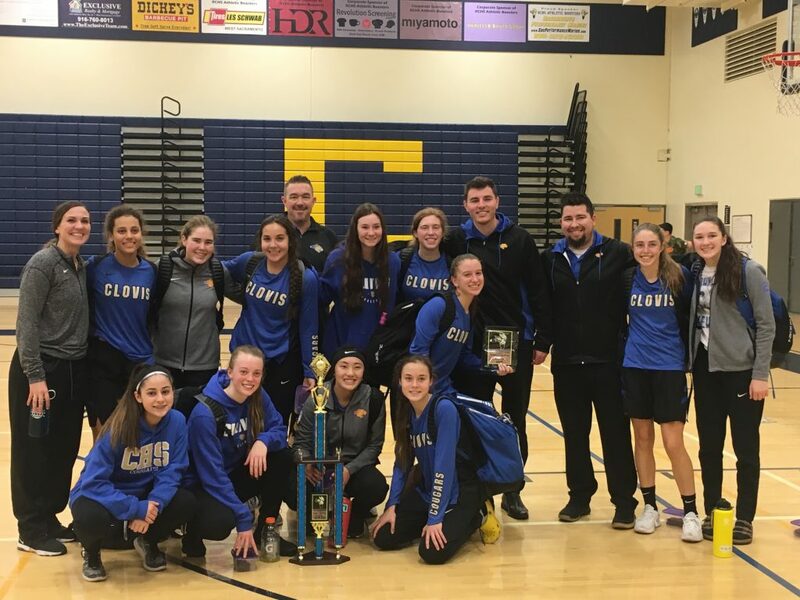 After playing its best basketball of the season at the end of last year, Clovis High is continuing an upward trend, winning two out-of-section tournaments and sporting a perfect 9-0 record. Last year, the Cougars reached the CIF Division II Northern Regional championship game. This season, with only one senior on the roster in Jasmine Heu, the Cougars are thriving on team chemistry, first-rate shooting and, despite a lack of size, a stout defense. At the Buena Kiwanis Tournament Nov. 28 through Dec. 1, they beat Camarillo 60-44 for the championship, a game they committed only three turnovers. Avery Evans earned MVP honors after scoring 15 points with 11 rebounds in the title game. The Cougars continued their winning ways and rolled through three games at the Rumble on the River Tournament, defeating Vista del Lago 63-28 in the championship game behind Chloe Van Ness’s school-record 10 three pointers and 32 total points. After Clovis was down 12-10 to a then-undefeated Cordova team to open up the Buena tournament, the Cougars poured in 30 points in the third quarter, then played lights out the rest of the tournament. That hot shooting continued against Vista del Lago when Van Ness sank three 3-pointers to start the game the 5-foot-7 guard never looked back. Through nine games, Van Ness has made 48 three-pointers, proving any number of Cougars can lead the team in scoring on any given night. “It’s more about our girls sharing the basketball, we don’t care who scores.” added Clark, in his fourth year at Clovis. Kelsey Delgado earned MVP in the Rumble on the River tournament. The season had a setback in the summer when sophomore Carlie Vanek and senior Clarissa Jorgensen, both counted on to play in the paint, were both lost to ACL injuries, causing Clark to modify the offense. However, the team has adjusted extremely well, upholding the standard the program has set. “We hold ourselves to a high standard and try to do it day in and day out – and the girls do a great job of it,” Clark said. “When we play out-of-town teams, they say how much they enjoy watching our kids play. That’s important to me that we represent ourselves and our school the right way.